Government has said that ZNBC remains a public broadcaster contrary to media reports suggesting it has been sold to a Chinese firm. 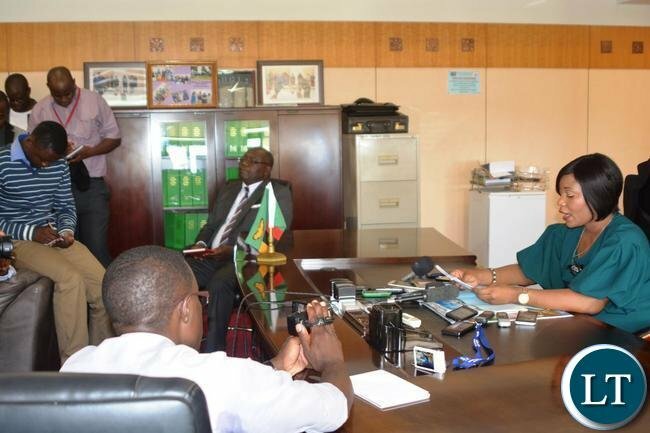 Minister of Information and Broadcasting Services Kampamba Mulenga, who is also Chief Government Spokesperson, said that ZNBC has partnered with Start Times to ensure that a special vehicle operates the facilities and raises money to pay the loan obtained for implementing phase 2 and 3 of the digital migration process. Speaking at a press briefing in Lusaka, Ms Mulenga said ZNBC has 40 percent shareholding while Start Times has 60 percent shareholding. Ms Mulenga said the joint venture is now operational and it is called Top Star Communications Limited. The Minister explained that the company will operate the public signal distributor and will ensure that all 1,250,000 decoders are sold to the public. Meanwhile, Ms Mulenga said that the mandate of the board of ZNBC came to an end on16th December 2016. She said government is in the process of identifying individuals to sit on the new board. Ms Mulenga said as per procedure the individuals identified will have to be ratified by parliament before she can formerly appoint them. And Government has urged opposition political party leaders to be realistic and objective in providing checks and balances. Chief Government spokesperson Kampamba Mulenga says the opposition should also appreciate development projects by the PF administration. Ms Mulenga said that the PF is delivering according to its campaign promises and should be given kudos. 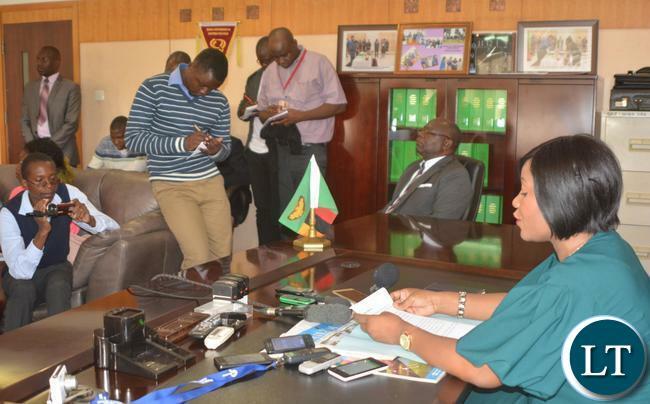 She was speaking to ZNBC News in an interview at Mass Media complex. Ms. Mulenga said the opposition should be partners with the Government in advancing national development. The Minister of Information also said that Government was in consultation with various stakeholders on the Access to Information Bill. Ms Mulenga emphasized that Government will remain committed to media reforms as promised during the 2016 election campaigns. ZNBC now sold to China ? Who would buy deadNBC? the ratings are in negatives. I simply don’t like that woman. I will ask Kambwili and Dora what’s going on ZNBC, those two are real Information ministers. Hahaha! I can’t even comment. Why have you encrypted free to air tv channels ? As part of the ITU, free to air channels should remain so to enable competition and cater for people on low budgets. $250 million was borrowed, what was this money used for ? From DVB experts not more than $150 to $180 million can be accounted for according to what you have archived with whats on the ground. Where is rest of that money ? You are very right, ZNBC has not been sold but zambia as a country has been sold to foreign infestors for a few quid in PF officials pockets. Elo uyu minister tomfwa, i remember one of of friends telling me about her. Ali kwata ka history uyu. There is a reason she is now minister…. You also have a history,but she is in a better position than you bitter child. NEZ please come back to reality and accept that your hate is killing you. After you sell it are we still going to continue paying the ZNBC Tax? Madam minister ZNBC is not a public broadcaster. Its a state broadcaster. A public broadcaster like the BBC reports directly to parliament. 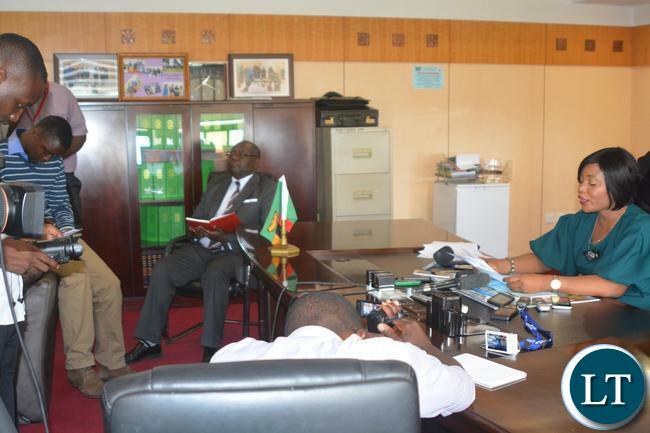 ZNBC reports to the minister or the govt. The minister dabbles in its operations, appoints its managers and even supervises its budget which is not the case with the BBC. The BBC management is appointed by Parliament and its what approves all financing. In Africa this model is employed only in South Africa but you will find even there the perennial ruling party tendency to want to control the public broadcaster and turn it into a state broadcaster. What is happening right now at the SABC is of great interest internationally as staff have rebelled against attempts at state control and Parliament seems to have stood up for their fight against the minister of communication and has suspended the board. Africa has state broadcasters in that they are all controlled by the Executive wing of governance. If you understand the four estates of Democratic governance the executive, the legislature and the judiciary have powers that check each other. None of them should have power over the media because that becomes unfair. I lost faith in ZNBC because it has become irrelevant to the majority of Zambians as it is only used as a tool for PF and I would care less if it got sold. I now watch the likes of Prime TV and CCTN. ZNBC is my daily bread. if i need capital for my business and ask a friend for money and he says yes but wants 60% of company then I have effectively sold him my company because now he controlls it. Do we know any other countries that have done this? Another example of this government giving away our country to foreigners, isn’t it enough now? I thought we were independent! Independent but broke, and beggars cant be choosers. So don’t be too surprised, its going to be a long 5 yr term. That $10bn + debt will quadruple very soon in the name of investment, and moving Zambia forward. But ba Minister naimwe, you are minister of information aren’t you? So why were you not proactive and provided information to explain your plans? Why wait and react to rumours? And you have not fully explained the 40-60% shareholding despite the length of your statement. When you are reacting to a rumour you need to be very clear how ZNBC has not been sold as many now believe the rumours. So come again minister, what are you saying exactly? Remember UPNDonkeys are looking for news which HH has failed to provide them. 60% control is just as good as selling off. Just admit that you cannot improve and have hanged the gloves. You got free monies for many years through the mandatory deductions from our accounts of which you have failed to utilize to the benefit of improvement. I want to suggest that we get a qualified manager to oversee the running of ZNBC rather than just pick from the stone throwers because they are the reason the institution is not improving. Does she know that Quality first is a competitive advantage. You cannot compete if in the first place you have No vision on how you can improve your services.